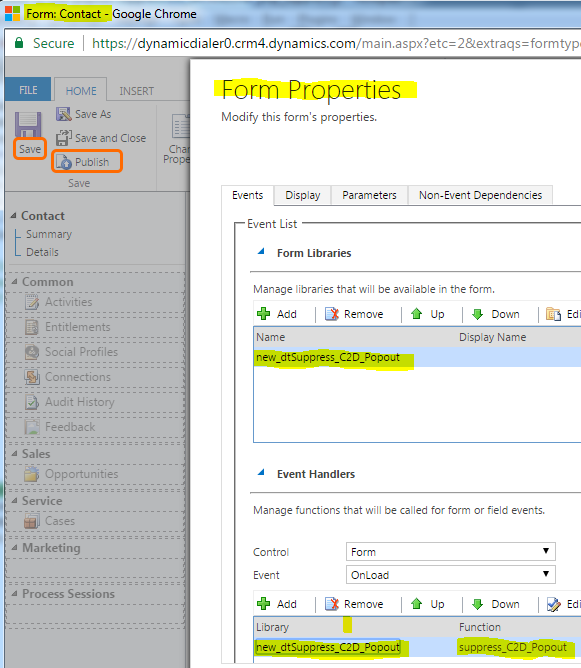 When you do a click-to-dial in Dynamics CRM, a new phonecall activity is automatically opened in CRM for you. Dynamics Telephony also adds a phonecall activity, so you can end up with 2 for the one call. 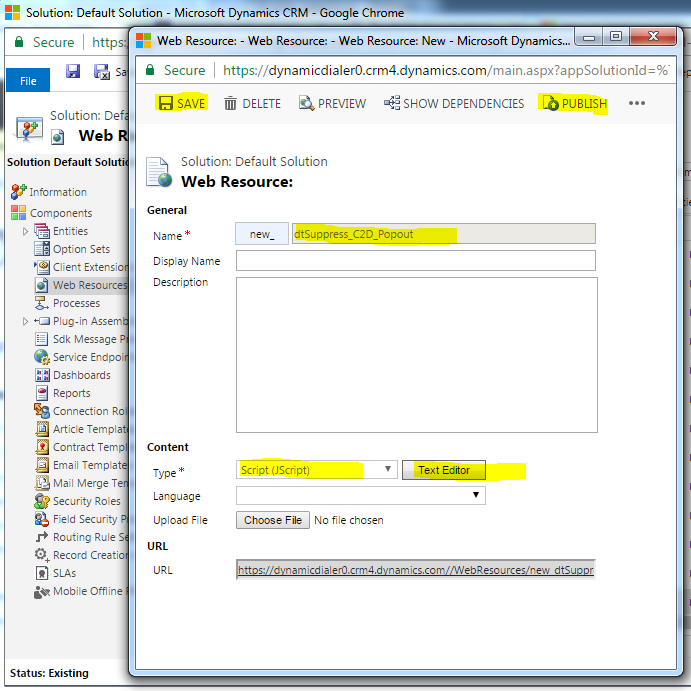 Follow this procedure to suppress the phonecall popout that CRM creates. WARNING: THIS IS AN UNSUPPORTED CUSTOMIZATION, but it can be easily removed.